Let Us Pay For Your Heat This Winter! 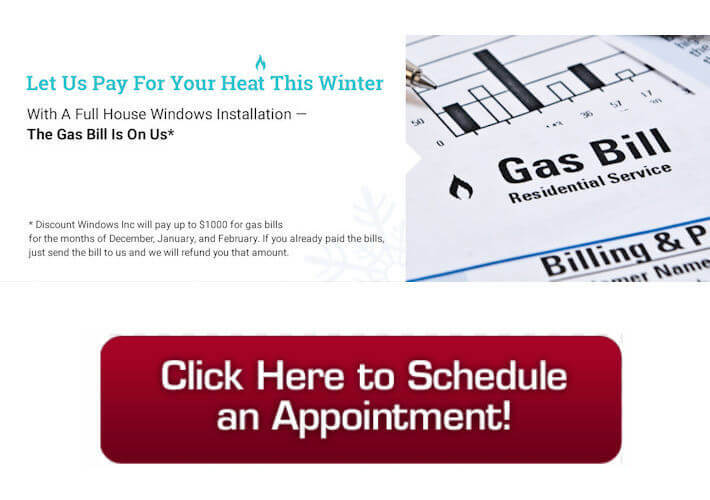 *Discount Windows Inc will pay up to $1000 in for gas bills for the months of December, January, and February. If you already paid the bills, just send the bill to us and we will refund you that amount. If any of this applies to you, the cost of repairs will be at par if not higher than the cost of new windows. Do Energy Efficient Windows Really Make a Difference?